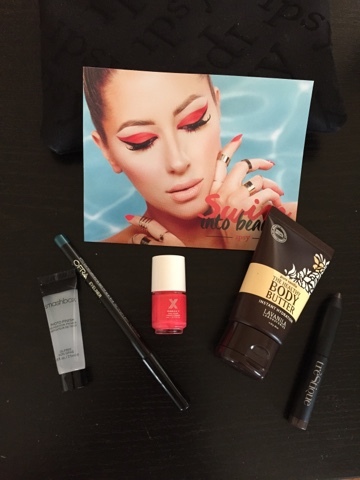 In June I enjoyed my Birchbox and Ipsy box/bag due to the variety of products received. My favorites from Birchbox include the skyn Iceland eye gel pads.. helps reduce the bags I have been getting for my lack of sleep and the Emi Jay hair tie extra! From my Ipsy bag in June, themed Swim into Beauty, I loved the vanilla scented Body Butter from Lavanila and eyeshadow stick from Trestique. My July goodies are coming just around the corner. Can't wait! I already saw a sneak peek of my July Ipsy bag and can't wait to get them in person!